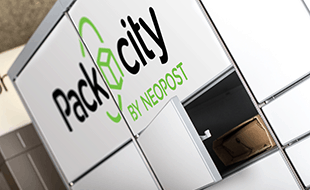 Having Packcity intelligent lockers on campus alleviates crowded mailrooms and eliminates multiple delivery attempts. Consumers can pick up packages on their time — anytime. A delivery notification is sent via text or email when the parcel arrives. The recipient enters their one-time PIN code. The door opens for recipient to grab their parcel and go.